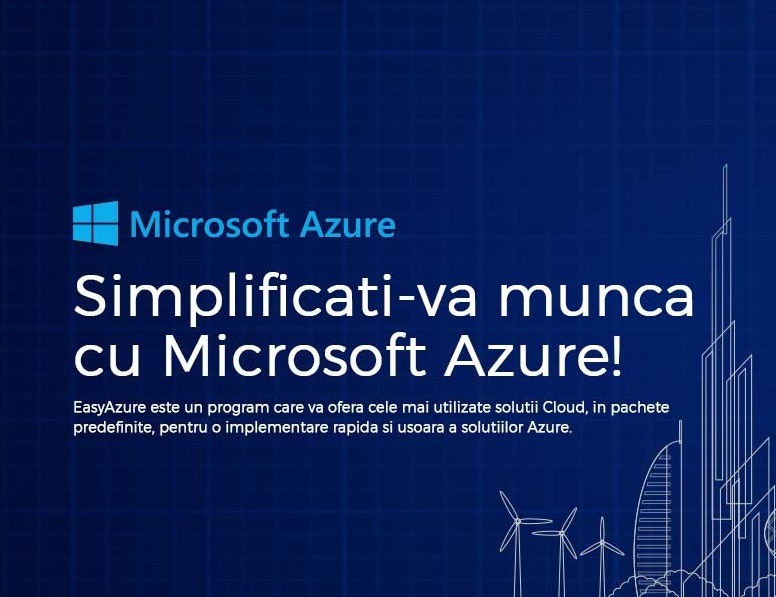 Take advantage of the Microsoft Azure packages and use cloud technology to simplify and develop your business processes safely. We offer 5 packages, each available in 3 variants, from the entry level to the advanced level. Choose the package that suits your business! For that we offer you free advice in analyzing the needs and choosing the right solution. Disaster recovery scenario, automated, simple and safe. It allows the synchronized service replication to another location or cloud. Practically, whole servers are replicated in the cloud and they are permanently ready for use. The program provides orchestrated recovery when needed, and its integrity is remotely monitored. The recovery process can be tested without any impact on the normal operation of the systems. The solution is compatible with physical or virtual servers. Cost starting at 22 eur/month. Automated and unified data protection solution, locally and in the cloud, automatically adjustable to the volume of data in use. Data is encrypted, both in transit and in the rest of the situations. It allows granular automatic recovery. It provides email alerts when the backup is completed, as well as reports regarding the consumption. Cost starting at 5 eur/month. Solution for local, web or mobile authentication of users in cloud or in combination with the local environment. It allows the change of passwords in self-service, single sign-in and optional multifactor authentication. Remote access and administration. Cost starting at 42 Euro/month. Affordable storage of the files in the cloud, with access almost anywhere. File server on Windows or Linux platform, integration with the local environment and network access. It offers additional storage capacity, depending on your needs. Cost starting at 15 Euro/month. Complete working environments with: Operating System (Windows or Linux), Web Server (IIS), Database (SQL Server Developer), development interfaces (PHP, Python and others). Cost starting at 83 Euro/month. FREE analysis of the compatibility with the cloud solutions.